The installation involves detaching the screen from your laptop and so you should consider your level of comfort with detaching and affixing delicate connectors on your motherboard when replacing your MacBook clutch cover. Additionally, you may have to make a few adjustments to your hinge to get your screen properly aligned after reattaching your laptop screen. Of course if you can live with the appearance you may be fine, after all one person’s ‘fugliness’ is another’s beauty beheld. Also, if you decide that you’d rather not tinker with your MacBook and you would like your clutch cover replaced you can have your local Apple retail store or PowerBook Medic do the repair for you. See the pictures below for some mild instructions and tips should you decide to do the repair yourself. Also, checkout iFixit for excellent instructions on how to remove your laptop screen. 15 inch 2011 MacBook Pro clutch cover replacement. I purchased this from amazon for $16.44 USD with shipping. MacBook Pro hinge screw removal. 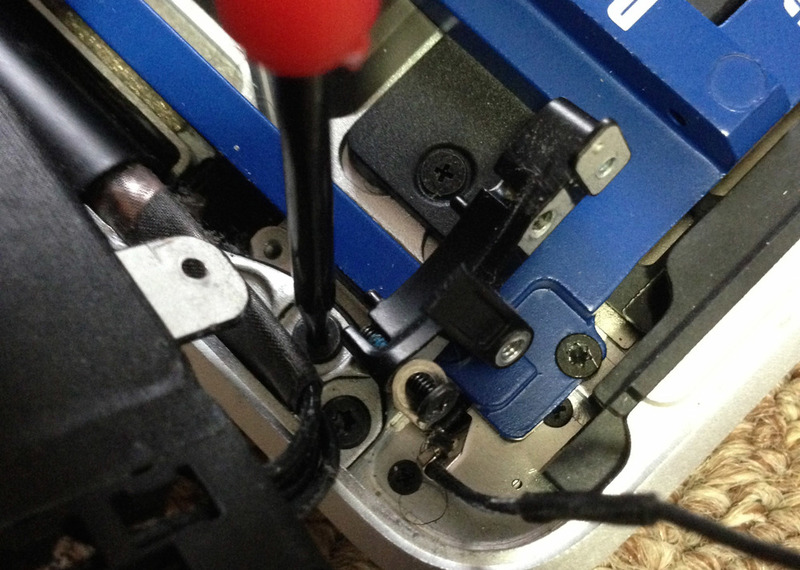 hinge screws need to be removed from both sides before you can detach the display. Disconnect cables to enable screen removal. Note the crack in the clutch cover in upper right corner of the pic. Remove display and install old clutch cover. remove display and with the screen facing up and "MacBook or MacBook Pro" and the clutch cover closest to you, slide the clutch cover to the right and pull up. Install the new clutch cover by pushing down and sliding to the left.